Yesterday I presented my digital slide show to the Hartford Art School in Connecticut. I had visited the school 18 years ago, and have heard great things about it since. Hartford has been delivering a steady stream of winners to the Society of Illustrators student competitions. The training program in the illustration department is founded on traditional skills, close observation, and mastery of media. It’s one of the few schools that offers a class in watercolor painting, taught by Dennis Nolan (see post on Art History: A Fresh View from a week ago). 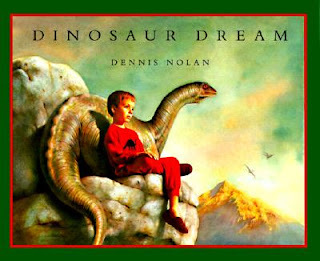 Dennis has illustrated many children’s books, including the award-winning Dinosaur Dream. The other illustration teachers are Doug Anderson, who honed his professional skills as a science fiction cover artist and a space technology illustrator for Lockheed; and Bill Thomson, below, who gave up a lucrative career in advertising illustration because of his love of teaching. These three musketeers are close friends, and in close sympathy with each others' teaching philosophies. Their classes cover human and animal anatomy, perspective, illustration history, composition, and figure drawing. Student work in the gallery was at a uniformly high level and emphasized controlled technique combined with a sense of humor. There were self-portraits with funny hats using a Rapidograph stipple technique, and faces made from vegetables a la Arcimboldo. Some of the students told me that they had trouble with rotting eggplants during the two weeks' rendering time. Seniors were working on zoo posters to refine their skills in animal drawing and graphic communication. There was excitement at our lunch table, because painting professor Jeremiah Patterson had, just minutes before, received approval to team-teach with a science professor a course about the science of art, including optics, color theory, and paint chemistry. Man, I wish there was a course like that when I was in art school! That piece by Bill Thomson is very impressive. make sure you come visit Gemini illustration school. i'm sure you'd enjoy what we got going on there. I wanted to let you know that I greatly enjoyed your talk and gained much insight into your techniques and working methods. I look forward to keeping up with your travels and theories on this blog! 216N8c Your blog is great. Articles is interesting!